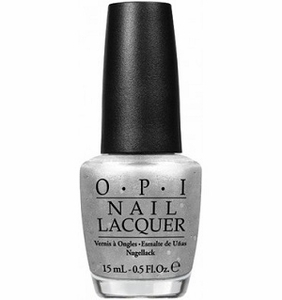 OPI Nail Polish, By The Light of The Moon, HRG41, .50 fl. oz. Metallic silver nail color with scattered chunky silver glitter.